If you like this free game, try Gardens Inc. Manage your time and resources effectively in this time-management gardening adventure. With both limited time and resources, you must work quickly and efficiently to get the highest possible score. Gardens Inc. might start off simple, but get ready for a challenge the further you plow through all 50 levels! Keep collecting and managing valuable resources that are used to complete goals on each level. 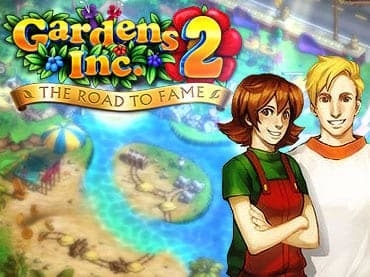 If you have questions about Gardens Inc 2: The Road to Fame game, please contact us using this form.